The AVPro Advanced Fundamentals ISF Certification class, set for November 19 - 21 In Houston, is designed to keep AV professionals in front of the competition. The topics include Home Acoustics Alliance Audio Calibration, Imaging Science Foundation Video Calibration, and HDMI/HDBaseT Integration presented by Quantum Data. This training is to be held at the University of Houston Downtown. Cost of attendance is $1500. Day 1: Attendees will learn to apply basic audio calibration techniques, and how to apply this knowledge on the job in under 2 hours, saving time on the site while still providing superior audio integration. Participants will also be immersed in HDBaseT video integration technology. Understanding and installing HDBaseT will be a focal point the second half of the day and carried through until the end of the class. Day 2-3: Attendees will complete ISF certification training and be recognized as elite. Level II Certification places those who achieve it among the top professionals in the world. 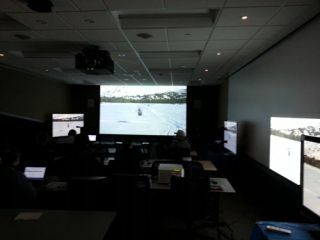 Participants will learn the most recent techniques in video calibration from the ISF founder, Joel Silver. This training will be held at Courtyard Marriott near the Denver Convention Center. Lunch will be provided.